Ironically, the final vote was accompanied by a fist fight, but it’s official: Japan may go to war again. The third largest economy on Earth entering the geopolitical sphere as a military power is absolutely huge. For Beijing, it’s a disaster. For D.C., it’s the geopolitical coup of the decade. And for Japan, it’s increasingly necessary. But why, and how? Let’s get super. But first, cliff notes. For the lazy. Defeated Japan, like defeated Germany, has been kept disarmed and on a tight leash since World War II for very specific reasons, few of which apply anymore. Since the U.S. has run up against hard limits on its power, it must call upon reliable allies to help it maintain the world order, and Japan passes the geopolitical litmus tests. This is the beginning of a very new Pacific, one that will first and foremost confront and contain Chinese power. But after that? It’s anyone’s guess, but a Japan that may go to war will invariably question the orders of the superpower. So Japan lost World War II and was forced to give up war, which was a great idea at the time. After World War II, the victorious Allies toyed around with various schemes to ensure the Axis powers never dared wage war on them again. Italy’s mid-war switch saved it from harsher retribution, but its two main allies did not fare as well. Germany was broken in half; its ruling Nazis were purged, arrested, and sometimes executed. It lost large chunks of territory to the Poles and Russians. 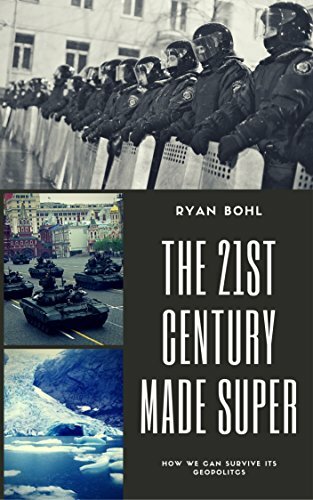 Japan was a different situation; since it had surrendered before an invasion, its elites couldn’t be so easily rounded up and wiped out, nor did the Americans want it split up between the West and the Soviets. Instead, the victorious U.S. forced the Japanese emperor to sign a constitution that forbid his nation from war. To cement that in, they kept the emperor. So a disarmed Japan became the linchpin for America’s power in East Asia, serving as a base for the Korean War while its economy toiled away at peaceful pursuits. As Japan recovered, its economy blossomed: by the 1980s, the U.S. was seriously worried it would be outsmarted by its former adversary, who seemed to be better at capitalism than Americans. But Japan’s constitutional bar on war – and the fact that World War II’s Emperor Hirohito remained alive and well to help preserve it all the way to 1989 – kept the country defanged. While Japan always had the right to defend itself, and kept a modern, but small, reserve force, in reality everyone knew that those forces would be of little use in a nuclear war. Instead, they preserved Japan’s hard-won military knowledge in a handful of elite academies, waiting to be called upon should a need arise. But conditions have changed, with the Middle East in meltdown, Russia getting aggressive, and China getting rich. After 1991, American power surged forth into regions it had never been: Central Asia, Eastern Europe, and even Africa. But the hard limits of America’s capabilities are now coming to the fore. After the Cold War, the U.S. assumed it could apply steady pressure to troublesome territories and eventually reorder them as it seemingly had in Europe. These notions were reinforced by easy victories in the Balkans and the Persian Gulf in the 90s. But beginning with the Afghan War and continuing to the wars in Yemen, Syria, and Iraq today, it’s become clear that America’s might has its limits. Much like colonial Britain and France, the U.S. has rightfully concluded it is too expensive to try to reorder certain parts of the world to perfection. Instead, like the late colonial empires, it’s leaning on local elites to help out. And Japan fits just about every geopolitical bill the U.S. has. To help understand that, contrast it with Germany, who does not. German elites have two political heritages: one in the West, once dominated by the Americans, and the other in the East, once dominated by the Russians. Angela Merkel grew up in Soviet-occupied East Germany; she is more amenable to Russian interests than the Americans would like. Such a connection opens the possibility of a bridge between Berlin and Moscow, both of whom have use for one another. Russia can provide Germany with vast quantities of raw material, while Germany’s manufacturing and technological bases can solve a great number of Russian problems. Moreover, as the largest economy in Europe, Germany has the potential to dominate the continent and to utilize the EU as a German geopolitical vehicle. On a long enough timeline, this may involve Russia entering the EU but not NATO. Such a feat would be a disaster for American policy and break a key pillar of the international order: thou shalt not unify Europe. For that reason, U.S. policymakers and diplomats are not keen to see a reenergized and rearmed Germany; such a force could hijack the EU one day. But Japan is alone and at threat, which makes it valuable. Japan’s value comes as a great counterbalance to China, Russia, and North Korea. it has no heritage of occupation by any of those powers: its political system actually has direct links to the days when Japan swallowed up Korea and waged murderous war on China. Japanese elites do not have a political memory of occupation by any of America’s rivals, only stories of war and conflict. As such, it doesn’t take much convincing to get Japan to build a fleet designed to blow up Chinese warships. Japan has no EU that it could potentially turn into a geopolitical rival to the U.S. – its prosperity remains dependent on America’s nuclear umbrella and U.S.-patrolled trade routes. The threat of it becoming an independent force able to once more challenge the U.S. is more remote than Germany; only after China subsides as a threat might that happen, an event that is probably decades off. Also unlike Germany, Japan has no nearby neighbors it could rely on to replace the U.S. Germany has both the French and British nuclear arsenals that can act as a failsafe against the loss of the U.S. But Japan is on its own. Thus the great incentive for both Tokyo and Washington to raise the Rising Sun again overseas. America gets a powerful allied military that can stymie China; Japan gets its old independence back and a greater degree of security that it needs in the face of Beijing’s sudden aggressiveness. Moreover, Japan doesn’t pose the same long-term geopolitical threat to the United States as its former Axis partner, since a suddenly upitty Japan could be contained by the U.S. much better than an upstart Germany. Japan, meanwhile, has suffered two “Lost Decades” of flat growth. 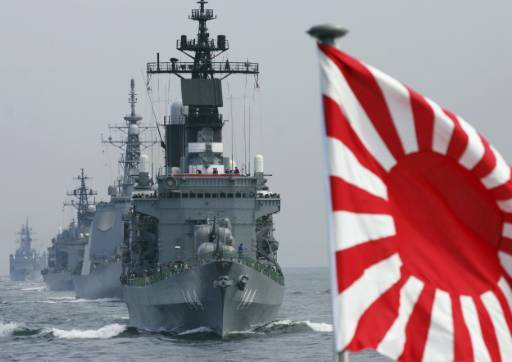 A renewed defense industry could well kickstart Japan’s economy again, something that would benefit both its trade partners in the Pacific as well as Japan itself. This new Japan is likely the beginning of the end of China’s much-vaunted rise. China’s obvious juggernaut qualities have raised alarms all along the Pacific, and now the most powerful force besides the U.S. will be openly arrayed against it. To catch up to the combined might of both Japan and America will take decades and require both D.C. and Tokyo to make repeated and massive mistakes. It’s deeply unlikely they’ll do so; both are filled with experienced statesmen and soldiers. Instead, China’s rise is now being brought to an abrupt halt. Even if Russia and China formally ally, Russian Pacific power is weak; its Pacific Fleet rots at Vladivostok, a relic of Soviet glories. North Korea is negated by South Korea. While Indonesia has potential, it won’t soon counterbalance Japan, assuming Beijing can convince Jakarta that China is no threat to it, as well. This won’t sit well with Chinese elites, who we can safely assume will try to scare Japan off from militarizing too much. That won’t matter; unless China commits to nuclear war, it can’t stop Japan rebuilding carrier fleets and readying new war technologies. This may well lead to a more peaceful Pacific in the long-run; should Chinese elites conclude an arms race is dumb (which it is), a Pacific underpinned by trade and patrolled by combined fleets under U.S. dominance could well be in the offing. But then there’s the other scenario, which is a hand that bites its feeder. A rearmed Japan will be a Japan that will question the U.S., and such questions will invariably lead to breaks between them. Worry over China will unite them, but should China recede as a threat, a Japan-U.S. rivalry will likely come to the fore. There’s not much for that; human nature remains constant, and nation-states bring out murderous traits in all of us. Why is the US more hostile to Russia than European countries such as Germany? If Russia threatens somebody with invasion, manipulation of energy supply etc., it’s Europe, not the US. There is a theory gaining currency in international relations called the Democratic Peace Theory. In sum, it states democracies will almost never go to war against one another; the political and social consequences are too great. So it’s entirely possible democracy reduces or even eliminates war between nation-states (though not non-state actors). That being said, Putin’s Russia is nominally democratic and yet here we are. I think we could see a return to interstate competition and even violence should the balance of power shift away from the current situation where the United States is able to easily win most state-sponsored wars. That’s not just conventional superiority, but also because of its vast alliance system and geographical security. If someone could crack those three pillars in a theoretical sense (say by setting up an alternative NATO, developing space-based weapons that render America’s geography moot, or developing a series of new, sustainable wonder weapons), then you’d certainly see elites in places like Berlin and London begin to push back against D.C.
That final part – why the U.S. is more hostile to Russian than Germany – is because the U.S. does not benefit from a united Europe unless it’s united by the U.S. Germany, however, could do quite well in a Russian-sponsored trade union or non-aggression pact; so too could many European states. But for Russia to do so without including the U.S. is dangerous to American dominance and is the primary driver why president after president seeks to keep Europe full of American troops. Great analysis, and you’ve definitely picked up on a seemingly important shift in the geopolitics of the Pacific. But my question after reading the article is, how will this square against China’s economic influence? While Japan and most Southeast Asian countries seem to be nominally allied against increased Chinese aggression (and by default, aligned with the United States), can than stance be sustained when China has replaced the U.S. as Japan’s largest trading partner (https://atlas.media.mit.edu/en/profile/country/jpn/)? Perhaps this is why there’s such an impetus for concluding the Trans Pacific Partnership agreement. And, like in pre-WW II Europe, it will be interesting to see whether nationalism trumps economic interests in this region. Incidentally, I had a recent blog post about how China’s economic slowdown could affect nationalist politics in the region (http://pinetreerepublic.com/2015/09/01/chinas-economic-slowdown-the-beginning-of-an-asian-fall/). Definitely an interesting and important development to follow. I think it’s a great question regarding nationalism vs. economics. Pre-World War I Europe had many deeply intertwined economies that still went to war with one another; just because war isn’t profitable doesn’t necessarily preclude it. You present a convincing argument for Japan’s need to contribute it’s military potential to improving the balance of power in the Far East, but how do you respond to the assertion that its close ties to America will lead to it becoming embroiled in American warmongering in North Africa and the Middle East, and potential upcoming cold war-style proxy wars with Russia, and subsequently becoming hostile with nations, and also terrorist groups, in those regions, as well as coming into greater conflict with Russia on its northern border? Being used by the superpower is the price of gaining its protection: for Japan, the rise of China constitutes a threat it can neither ignore nor face down on its own. Japan may be forced to send forces abroad to fight on behalf of America’s interests elsewhere, and some of those forces will certainly be in harm’s way, but to forgo that means to ditch the U.S. alliance, which I think Japan’s elites have concluded they simply can’t afford to do so long as China remains strong. Terrorist blowback may be the price as well, but such terrorism is unlikely to threaten the fundamental strength of Japan, merely grab headlines and spread some panic. Again, Japan seems to have concluded that’s worth it if it can have U.S. aid in thwarting Beijing.